I didn’t plan on writing a cat book. In fact, I had every intention of devoting 2017 to THE HEUER EFFECT, the prequel to HEUER LOST AND FOUND. But I was sidetracked—drawn into a direction I had not counted on. Two years ago, I met this cat. A comely fellow, he appeared at my back door with a “come hither” look that couldn’t move me. You see, I had lived my life deeply saddened by the knowledge that I was allergic to almost all things “fur and feather.” This did not dissuade him. Perhaps he knew I was susceptible—possessed of that human quality (or weakness?) of wanting that thing that I couldn’t have. His visits went on for days, marked by chalcedony green eyes and an almost inaudible purr from cat epiglottis to my own ears. I didn’t stand a chance: he literally compelled me to open the door and let him in. I’m so glad I did, and for so many reasons; chief among them, SHELL GAME. Not long after our first contact, my fine visitor, along with his many free-spirited confrères, became the subject of a dedicated cat hunt spear headed by local Animal Control. According to the letter left on my door step, free-wheeling kitties and the accomplices that aided them were now subject to punitive fines / loss of liberty—theirs to roam, ours to love them on our own terms. There’s a debate going on about whether it’s right to keep cats indoors and I can see both sides of that argument. But for the purpose of my latest fiction, let’s just say that free range kitties and the humans that aspire to similar behavior do so with the best of intentions. My friend across the ocean has been at it again, writing, writing, writing about the things he loves most: music, myth, the ties that bind and, my favorite, the crossroads. Do you know what it means to journey to the crossroads? Richard Wall will tell you. Welcome Richard. As a funeral director and artist, I have long been fascinated by the story of the crossroads. For the untutored, can you give us a rundown on what the myth entails, and share with us your attraction to it? In folk magic and mythology, crossroads represent a location “between the worlds”, a site where supernatural spirits / demons may be summoned in order to broker a supernatural deal. When bluesman Robert Johnson started out playing, his mentor, legendary bluesman, Son House, said Johnson had very little musical talent. The story goes that RJ “disappeared” for a year, and when he returned his playing had improved immensely. Son House said that Robert Johnson sold his soul at the crossroads, in return for musical talent – a cynic might say that twelve months of practice would achieve the same result, but why spoil a decent story with the truth…? For a writer, the crossroads theme is a superb device for portraying all manner of human emotions. I mean, how desperate must you be to sell your soul? And how much of a bad guy must you be to trade for it? This is the premise of Fat Man Blues, supply and demand. You’ve got to be a musician. Right? I wish! When I begin singing, deaf people stop lip-reading. I play delta blues tunes on a shiny resonator guitar (the one on the cover of Fat Man Blues) but only for myself or one or two close friends. You love the Blues. Do you love the past too? I do indeed. And listening to old school delta blues music is like opening a door to the past. What I enjoy most from scratchy old recordings from the 1930s, apart from the rawness of the music, are the ad-libs and background detail you can sometimes hear – be it Charley Patton’s spoken asides, Robert Johnson’s bottleneck clattering against the frets of his guitar, or the sound of a steam train going past the hotel where Son House was being recorded. Which brings me to Fat Man Blues. Give us the broad strokes and then tell us if you saw yourself in Hobo John. OK, in broad strokes, a blues nut from England visits present-day Mississippi, and is offered the chance to see the blues being played as it was in the 1930s. Naturally this comes at a price, but it’s an offer that he can’t refuse. Did I see myself in Hobo John? Absolutely I did! The opening chapter is based on a real life conversation that I had in a juke-joint in Clarksdale, Mississippi. Any white blues nut worth his or her salt would willingly sell their soul to see the delta blues as it was. You come face to face with the devil. What happens next? The love that went into this work is on every page. Where did you write and how long did it take? Thank you. I wrote it whenever I had free time outside of my day job, usually in the study at home. From start to finish it took me three years, but as a blues nut it was a labour of love. That new Rolling Stones album is out. Should we all race out and buy it? I would say yes, go for it. Not only to hear the Stones going back to their roots and demonstrating that first and foremost they are the best kickass blues band on the planet, but also to get acquainted with some wonderful songs. The track “Commit a Crime”, originally sung by Howling Wolf, is magnificent. Ed. – I’m on it. Have you ever been on a Blues holiday? Rubbish or worthwhile? I think like everything in life, you get out what you put in. What do you do in your spare time? How do you fuel the creative beast? And you have a new work out, a short story. Tease us with a wee bit please? It was my buddy, Stu, who came up with the idea. My name’s Vince, and when this story began, Stu and me, we were 19 year-old high-school drop-outs and occasionally reformed stoners sharing a broke-down, drunk-leaning, leaky old double-wide on a third-world trailer-park in a small town in Nowhere, Texas. Sometimes in life you don’t know where you’re headed until you reach that point where you lift your head, take a look around, and then have to decide if that’s really where you want to be. Somehow Stu and me ended up in entry-level jobs at Walmart. That was two years ago. Notwithstanding our ongoing education from life and the internet – majoring in popular culture and low animal cunning – two years of the real world made us realise that maybe we should’ve made more of an effort at school. It was late one Sunday evening, both of us dreading the prospect of another year-long week at the nowhere branch of a multinational retailing corporation, when Stu experienced a bong-inspired epiphany that he and I would join the US Marines. All we had to do, he said, was serve long enough to qualify for a college education, get ourselves a degree and then all our dreams would come true. We had nothing to leave behind, Stu’s mom was dead, and mine was in jail, partly for dealing in meth-amphetamines and Oxycontin, but mostly for trying to kill me (but that’s a story for another day), and so we were raring to go, both of us excited to embark on this next stage of our lives. Thanks for allowing me space on your blog, and to everyone reading this, go in peace, and play nicely. Evel Knievel and the Fat Elvis Diner: In this short story, an Englishman in Oklahoma is watching a storm approaching when he receives an email on his phone. 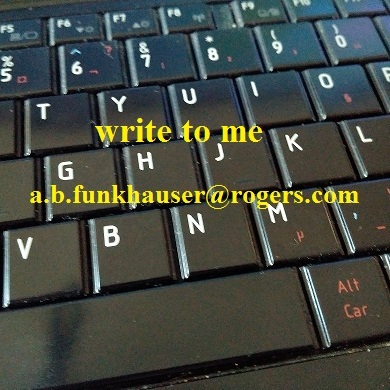 As he waits for the email to download, it causes him to reflect on his childhood in 1970’s England, his relationship with his father and the journey that brought him to the USA. Five Pairs of Shorts is a collection of ten, 1000-word stories inspired in part by the weekly prompts of a small writing group somewhere in England. Fat Man Blues: “Hobo John” is an English blues enthusiast on a pilgrimage to present-day Mississippi. One night in Clarksdale he meets the mysterious Fat Man, who offers him the chance to see the real blues of the 1930s. Unable to refuse, Hobo John embarks on a journey through the afterlife in the company of Travellin’ Man, an old blues guitarist who shows him the sights, sounds and everyday life in the Mississippi Delta. Along the way, the Englishman discovers the harsh realities behind his romantic notion of the music he loves and the true price of the deal that he has made. Hank Williams’ Cadillac – Vince and Stu’s road trip through Texas is cut short when Stu’s ancient Honda breaks down in the quiet town of Rambling. Nearby is Bubba’s used-car lot, containing a collection of classic American cars. Following a bizarre encounter with a talking crow, and a deal signed in blood, Stu trades in his Honda for a powder-blue 1952 Cadillac convertible. Back on the road, the two buddies continue their journey in style, until a series of Burma Shave road signs and an encounter in a cemetery changes things forever. Richard Wall was born in England in 1962, and grew up in a small market town in rural Herefordshire before joining the Royal Navy. After 22 years in the submarine service and having traveled extensively, Richard now lives in Worcestershire where he works as a freelance Technical Author. Having a keen interest in writing since childhood, Richard joined Malvern Writers’ Circle in 2003 and since then has had poems published in magazines and newspapers and has appeared several times at Ledbury Poetry Festival. His first stab at prose writing produced the short story, “Evel Knievel and The Fat Elvis Diner” (available on Kindle), followed by “Five Pairs of Shorts” a collection of ten short stories. A self-confessed Delta Blues music anorak, Richard embarked on a pilgrimage to the USA to visit the Deep South, where a bizarre encounter in Clarksdale, Mississippi inspired him to write his début novel, Fat Man Blues. Completed in 2015, Fat Man Blues has attracted acclaim on Amazon, together with a surprisingly wide cross-section of readership. Fat Man Blues has also caught the attention of an independent film-maker in New York City, who is interested in adapting the novel to a movie. Richard blogs occasionally at http://rawall.wordpress.com.